Your flowers will be hand-delivered that same day! 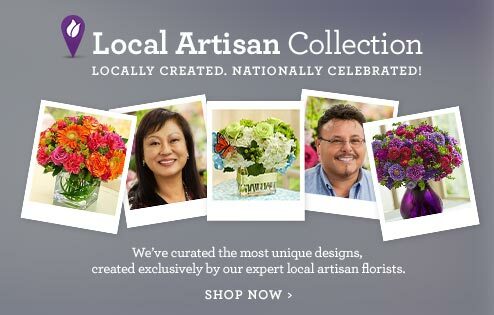 Choose from our collection of Florist Delivered flower arrangements, plants, gift baskets, balloons, or our other signature items, all designed to deliver a smile today! To view same-day flowers only, visit our same-day flower delivery page. 1-800-FLOWERS® - Your premier provider of flowers & gifts for all occasions. Sending same-day flowers and gifts is a fun and thoughtful way to celebrate a special occasion or surprise a loved one. While sending flowers are a beautiful and classic way to express yourself, pairing the flowers with a gift basket, balloon, or other assorted gift, can add to the creativity and thoughtfulness of your present. Add same-day delivery to the mix, and you get a special package that is sure to delight. 1-800-Flowers.com offers a wide range of festive flowers and gifts available for same-day delivery. The collection boasts same-day flowers and gifts for any occasion. Select from flower arrangements that include elegant roses to classic daisies to bright sunflowers and choose from gift options that include fruit baskets, balloons, and stuffed animals. Get creative with floral birthday cakes, martinis, and even bouquets arranged in the shapes of puppies. All of these and more are available for same-day delivery and are hand-delivered to the door of someone you love. 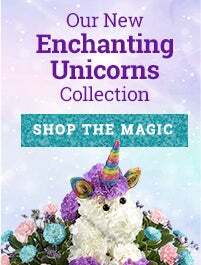 Same-day flowers & gifts is an easy and thoughtful way to express your feelings, and 1-800-Flowers.com offers a unique collection appropriate for any celebration. 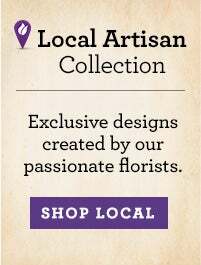 Order by 2:30 pm Monday-Friday, 1:15 pm Saturday, or 11:45 am Sunday (in your recipient's time zone) to have your flowers delivered the very same day. Whether a special occasion slipped your mind or you kept putting off buying a gift til the last minute, no need to worry! 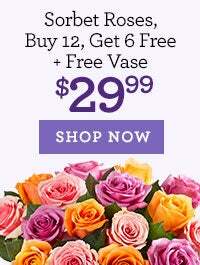 1-800-Flowers.com has you covered with last minute gifts that can arrive today. Our same day flowers are arranged by local florists and delivered to your recipient for birthdays, anniversaries, thank you’s and any other special occasion that you want to be there for. Some last minute flower arrangements you can get delivered include roses, sunflowers, daisies, lilies, and other mixed bouquets. From their favorite color to their favorite flower, send last minute flowers to make them smile today! 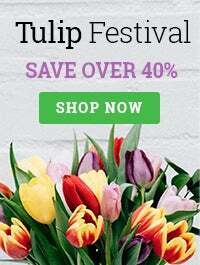 1-800-FLOWERS.COM® provides an online shopping experience that offers the best quality flowers, balloons, and gifts to celebrate any occasion. With online advice on plants, flowers and balloons for events ranging from birthdays and anniversaries to funerals, the site utilizes chat boxes and specialized search options to help customers find the perfect gift option. They make ordering plants and balloons online easy and efficient, and have relationships with local growers and florists to ensure ease of delivery and to guarantee freshness of quality. Depending on the place and time of the order, they also offer a same-day delivery option for many plants and balloons.